Should I buy the LondonPass? Is the London Pass a good value? WithKids.world > Travel Tips > Is the LondonPass worth it? Should I buy the LondonPass? Is the LondonPass a good deal? Will the LondonPass save me money? Is the LondonPass worth it when traveling to London with kids? These are some of the most common questions that I get from readers – so I’ve decided to put together a dedicated post to answer it! More specifically, I’ll be exploring the question of whether you should buy the LondonPass if you’re traveling to London with kids. Think of this less as a review of the LondonPass, and more of a financial analysis of its value in terms of potential savings. So does it save time, money and stress if you’re traveling to London with kids? Well… it depends. Let’s dig into the details. First, let’s explore which sights are covered by the LondonPass. They include many of the best attractions for families – such as the Tower of London, Hampton Court Palace and Windsor Castle. Also covered are several other attractions that many visitors consider to be iconic to London: Westminster Abbey, the Tower Bridge Experience, and a Double-decker Bus Tour are included in the pass. Here’s a full list from the LondonPass website. While the LondonPass includes entry to many of the top attractions, it certainly doesn’t cover everything. Some of the more popular omissions include the London Eye, St Paul’s Cathedral, and Madame Tussauds. It’s important to note that one of the best parts about visiting London is that so many of its most remarkable attractions are free! These include most of the major museums: Natural History, Science, British Museum, V&A, Maritime Museum, Imperial War Museum, National Gallery, Tate Modern and Tate Britain. As well as the many parks and playgrounds where you’ll undoubtedly spend much of your time if the weather is decent. So to figure out if it’s worth it, let’s look at the three factors that the London Pass promises: Save Time, Save Money, Save Stress. We’ll look at Money first, since that’s the most common question that most people have about the London Pass. Will it save you money? To answer that question, I looked at the top 22 attractions that are covered by the London Pass, and might be of interest to families. These range from the “must do” sights like the Tower of London, to more niche attractions like the Royal Mews, or a Chelsea Football Club Stadium Tour. For each attraction, I calculated the cost of visiting with a family of four (2 adults and 2 kids). Most of these have free entry for kids under 5 years old, and almost all of them offer children’s tickets that cost about 50% of an adult ticket. So if you have only one child older than 5, take about 10% off of the family cost. If you have more than 2 kids, add 10% per kid to get an estimate of the cost for additional kids. For most (but not all) of these attractions, the venue offers adult, child and family rates. The family (2 adults and 2 kids) rate is quoted above if it was available. If no specific family rate is available then the above price is based on cost of 2 adult and 2 child tickets. 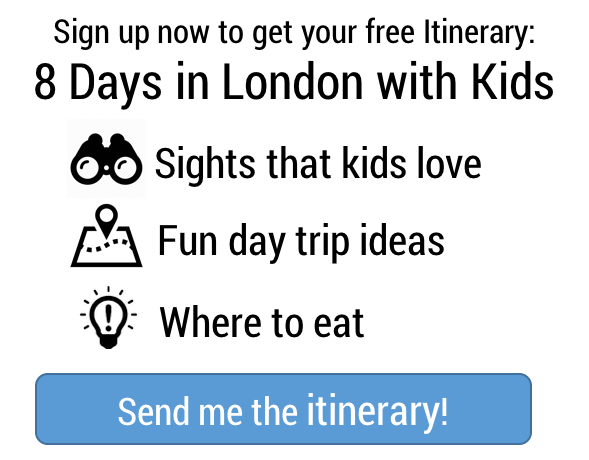 Next, we need to consider what a typical itinerary would look like. To do that, I’ve used the 8 Days in London With Kids itinerary that we offer free. If you don’t have it already, you can sign up for our email list here to get instant access to it. Of course, not everything on the itinerary is covered by the London Pass – and many of the sights are free as mentioned. Here are the itinerary items that are covered by the London Pass, and the cost for a family of four of visiting each without the Pass. Referencing our 8-day itinerary, you’ll notice that we don’t need the pass for the first two days, so we could get the 6 day London Pass to cover the last six days of this itinerary. As you can see on the cost chart, the cost of the 6 day London Pass (without travelcard) is £436, as compared to paying for each attraction separately at a cost of £495. Verdict: If you’re in London for a week, and you’re visiting sights every day, the 6-Day London Pass saves you money! Assuming that you want to do everything on this itinerary or more, you save £60! Plus since you have the 6 day pass you don’t have to worry too much about condensing all of your London Pass activities into a small number of consecutive days, so you retain flexibility. And you can add in more activities that are not listed, like Westminster Abbey, the Tower Bridge Experience (not to be confused with the London Bridge Experience which you probably don’t want to do – it’s an overpriced, touristy haunted house), or the Benjamin Franklin House – for no additional cost! Sweet deal – go for it! But what if you’re not planning an 8 Day London Tourist Extravaganza? That itinerary is primarily intended as a guide that families can pick and choose days from – with some slower days mixed in. As it stands, it’s a lot of sightseeing, and you likely feel that both parents and kids could use a bit more playground / ice cream / coffee / tea / park time. If so, you might cut out 20% of the activities, and 20% of the cost. Then you’d be looking at about £400 if you book separately, vs the 6 day London Pass at £495… not such a sweet deal. But if the math is close, it may still be worth it to you to get the pass and not have to worry about paying admission. Plus you can skip some queues – which we’ll get to below. LondonPass offers 1, 2 and 3 day passes as well (strangely, you can’t do 4 or 5 days – I asked!). But shorter passes come with two drawbacks: 1 – they’re significantly more expensive per day, which means that you really have to pack in the activities to make it worth it; and 2 – they need to be used on consecutive days, so you have to make sure that you do all of the covered activities on those days to get good value from the pass. Here, I took a mix of “must dos”, and also factored in maximizing cost savings, and as well as activities that could plausibly be done in the same day, based on proximity. Windsor Castle represents one of the best values from the London Pass – because the pass covers not only entry into the Castle, but also the train journey to Windsor – which would otherwise cost at least £35 for a return ticket for 2 adults and 2 kids. For the second day, I’ve included Hampton Court Palace and Kew Gardens. These are both great activities – but they’re kind of pricey, and many people opt not to do Kew Gardens if they have to pay entry, since there are so many free park alternatives. With the LondonPass though, it’s a great benefit to take advantage of. And for the last day, I suggest that you hit the Tower of London right when it opens, and then catch the River Boat Tour to Greenwich, where you can take advantage of free entry to the Royal Observatory, and the Cutty Sark. Of course, you should also explore the Maritime Museum and Greenwich Park while you’re there – but those are both free so I haven’t mentioned them in the cost analysis. This is definitely a full day, but it’s doable. the Cutty Sark, because you loved the Maritime Museum and you’re short on time – well, now you’ve spent more on the LondonPass than you would have paid just to get each thing independently. Plus, if I had 5 days, I wouldn’t want to have three super-packed days consecutively, but would instead prefer to put a slower day in the middle. So for my family, I’d pass on the Pass in this scenario. And what about shorter passes? Is it worth it to just get the LondonPass for one or two days? Well, as you can probably tell by now, the chance of saving money goes down as the length of the pass gets shorter – because the actual daily cost of the pass goes up significantly. If you refer to the chart above, you’ll see that where a 6 Day LondonPass for a family of four has an average cost per day of £73, the 2 Day LondonPass has a cost per day of £138, and the 1 Day pass costs £196! To spend that much in sightseeing in a day, you have to try really hard! Just for fun, what’s the most value that you could realistically get out of a 2 day pass? You could theoretically do all of that in 2 days. And if you were a couple, without kids, it might be fun. But if I tried to do that with my family, the result would likely be a very tired, cranky crew by the end of the day – which is a scenario that we generally try to avoid, especially on holiday. So if you’re up for the challenge, go for it! But for most families with kids, I think that the shorter LondonPasses don’t deliver much savings potential. Note: There is actually a cap or a “Daily Purse Value” which is the maximum value that you can get for the card each day. You can find those limits here – but since they’re per card, you’re very unlikely to hit them. Also of note, you can only use the passes once at each attraction. So if there’s some potential savings value in the 6-day LondonPass, what about the time savings? The London Pass promises to let you “skip the queue” at many attractions, and for families traveling with kids this can certainly be a meaningful benefit. So how much time will you realistically save? Well, this is harder to measure, but let’s look at the queue-skipping that’s on offer. Referencing the chart above you can see that FastTrack (skipping the queue) is offered at: Tower of London, London Bridge Experience, Tower Bridge Experience, London Zoo, Kensington Palace, Hampton Court Palace and Kew Gardens. My family as visited 5 of those 7 (all but the two Bridge Experiences), and we’ve really only ever encountered lines at the Tower of London. There, there can sometimes be a lengthy queue in the summer if you get there after about 10 or 11AM. But if you get there when it opens at 9AM and you’re purchased tickets in advance, you shouldn’t face much of a wait. At the other sights, we never encountered a significant wait – so “skipping the queue” wouldn’t likely result in much time savings. Also, keep in mind that there are three different types of queues at these kinds of attractions: 1) Ticket queues. These can be skipped with the LondonPass – or if you purchase tickets in advance online, which you can do for most of the attractions supported by LondonPass; 2) Security queues – these can’t be skipped, pass or no pass; and 3) Entry queues – this is where the LondonPass would get you faster access, but for most venues these likely won’t be too long. That’s not to say that you won’t encounter any long queues on your trip. When we visited Windsor Castle the first time, we were dismayed to find a line that stretched well around the block. However we were thrilled when we realized that it was a ticket line, and we could skip it since we had purchased our tickets online in advance. Of course, we still had to wait for a bit to go through security (just as we would had we had a LondonPass), but that line was only about 10 minutes long. Other attractions that are notorious for long waits include the London Eye, Madame Tussauds and LegoLand in Windsor – none of which are covered by the LondonPass. Then of course there’s the customs line at Heathrow – if only the LondonPass covered that one, then you’d be looking at some significant time savings!! So on to the last factor – saved stress. This one is obviously a more subjective measure, but for some, it could be the most compelling. If you’re planning to do at least two of the covered attractions per day for three consecutive days, then you’ll probably be reasonably close to breaking even. You probably won’t save very much money – in fact you’ll probably pay a bit more. But you won’t have to stress about getting advance tickets to each thing, waiting in a ticket queue when you arrive, or even worrying about how much each attraction costs. One of the things that’s great about London’s free museums is that you can just stop in for 30 minutes, and leave – without worrying about “getting your money’s worth” if everyone isn’t enjoying themselves. So with the LondonPass, you can make an investment up front and then you’ll have very few additional costs for sightseeing. If this feels like the kind of holiday that would appeal to your family, then go for it! What about the Travel Option? This one is easy: don’t get it. It’s not a good deal. There’s a couple of issues to consider here. The most significant factor is that the London Transport system (which includes the Underground, Overground and busses) offers a daily cap of around £7 if you stay within Zones 1-2 (which you will most days), and up to £9 if you travel between Zones 1-4 (most tourists don’t travel beyond Zone 4 on the Underground). The cap is automatically applied, as you travel. So if you watch the little display on the turnstile, you may notice that after you’ve taken a few rides, your fare will show as £0. That means that you’ve hit the cap, and all subsequent rides on busses and the tube that day are free! Travelcards are another option that allow unlimited travel for a fixed price during the day. But the cost of shorter length (<7 day) travelcards is more than the daily cap each day! So they really don’t make sense as far as I can tell. You can save some money if you do a 7-day travelcard, as compared to capping each day – so if you’re in London for more than 4 days, then a weekly travelcard makes sense. There’s also peak and non-peak considerations – but in my opinion it’s not worth changing your behavior over. Just be aware that if you travel between 8-9AM, or between 5-7PM, the trains can be very crowded. Just get an oyster card at Heathrow, load it up with £30 (or a weekly travelcard at £38 for Zones 1-3) or so, and go! So now that we’ve established that, what about the LondonPass with TravelCard? It’s basically just the LondonPass, with the daily travelcard that I just described added on (plus a slight surcharge). So while it’s a bit more convenient to have everything on one card (the LondonPass), rather than having the LondonPass for everyone, and the Oyster cards, you’re better off financially just using an Oyster card and taking advantage of the daily caps when you hit them – just like a local! Plus, and this is really the kicker, kids 10 and under travel free on busses and the Tube! And while it mentions this in the fine print on the LondonPass website, I’m sure that some people miss it, and end up buying travelcards for their 8YO’s, who would otherwise travel for free. Kids 11-15 can travel for a discounted rate with child oyster cards. So that’s just a long way of saying that if you do decide to buy the LondonPass, don’t get the TravelCard option. Just get Oyster cards instead! Here’s a super-helpful video on Oyster cards and how to use them. Final Verdict: For most families, the LondonPass is not a good value. If you’re planning to do 6 straight days of London sights, go ahead and get the LondonPass if the “all inclusive” nature of it appeals to you. But otherwise, I’d suggest just paying for the things you want to see individually. Buying tickets online in advance will save you about 5-10% at most attractions – and it will often save you some time at the ticket window. You’ll probably spend less without the LondonPass, and you’ll have the flexibility to adjust your schedule based on weather, and what your family feels like doing that day. And whatever you do, please, PLEASE don’t buy the TravelCard option. Any questions? Email me at jordan@withkids.world, or use the comments below.